These words, spoken by the Father in Heaven at the baptism of Jesus, reveal not only the dignity of the Son of God, they also reveal much about us. They are words spoken about each one of us as a result of our own baptism into Christ. Who are you? This is an important question. Very often we take our identity in something other than the truth. We can often take our identity in what we accomplish or what we fail to accomplish. And, in so doing, we tend to allow our actions to determine our dignity. Though it’s true that our actions are either in accord with or contrary to our dignity, it’s not true that our actions determine our dignity. Our dignity is determined by one thing: Baptism. 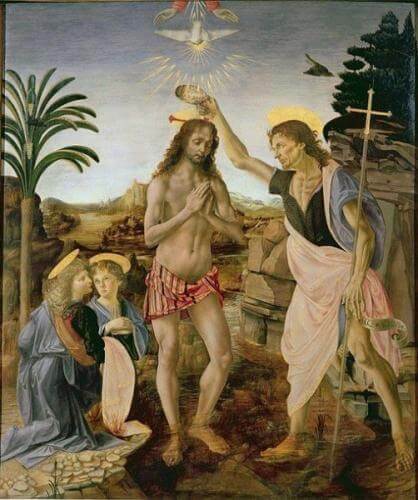 In our baptism we are made sons and daughters of the Father in Heaven. As a result, the Father sees us as His beloved children and He looks at us with great pleasure. Not because of what we do or do not do, but because of who we are. Reflect, today, upon these words spoken by the Father and allow them to be spoken to you. “YOU are my beloved child,” says the Father in Heaven. “I am well pleased with YOU.” The Father is pleased with you because you delight Him simply for being His child. Ponder that truth and let it sink in as we prepare for the upcoming celebration of the Baptism of the Lord. Lord, help me to always see my dignity as Your child. Help me to know and believe that there is nothing I can do to strengthen or weaken Your love of me and, therefore, the dignity I receive from Your love. Help me to always realize that my life gives You deep pleasure not because of what I do or do not do, but because of who I am. I thank You for loving me as a perfect Father. Help me, please, to always know and receive this perfect love. Jesus, I trust in You.